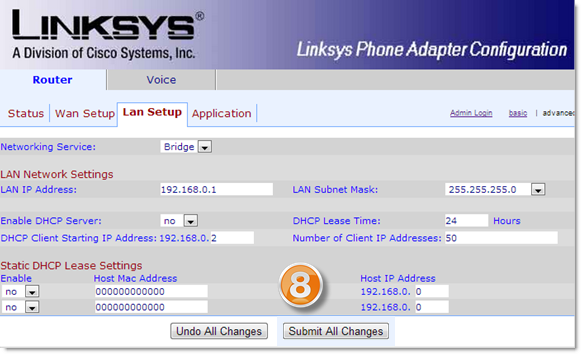 This article will guide you on how to set up the Linksys SPA-2102 ATA device on bridge mode. Under the Router tab, click Lan Setup. 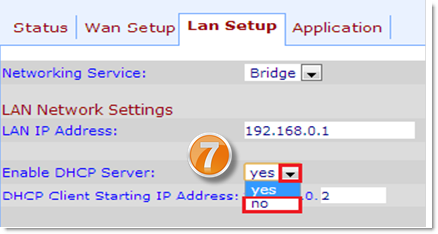 Under Networking Service, select the Bridge option. Under Enable DHCP Server, select No. Click Submit All Changes once done to save the new configuration. 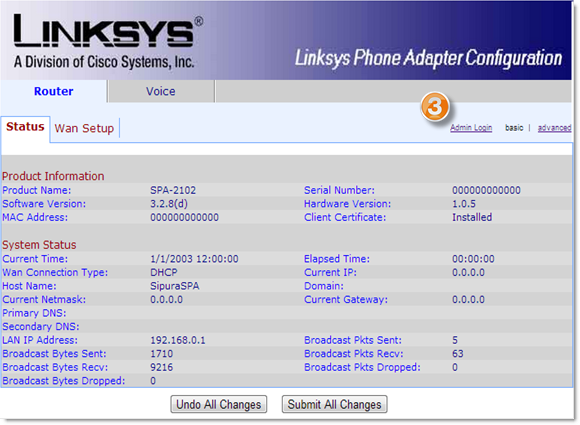 You have now set up your Linksys SPA-2102 ATA device on bridge mode.